If you love to fish but just can’t find the time to leave town, the Fish and Game Department in partnership with the local Parks and Recreation Departments may have solution. 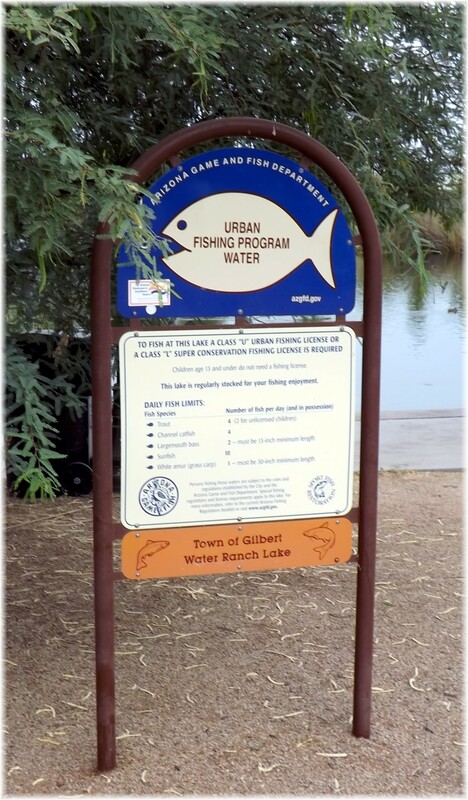 It is a nationally recognized program where 21 local Urban Fishing Program lakes and ponds in 11 Arizona cities are stocked with trout, catfish and sunfish. The thought behind this is if people can’t get out of town to fish, we will bring fish into town for the people. 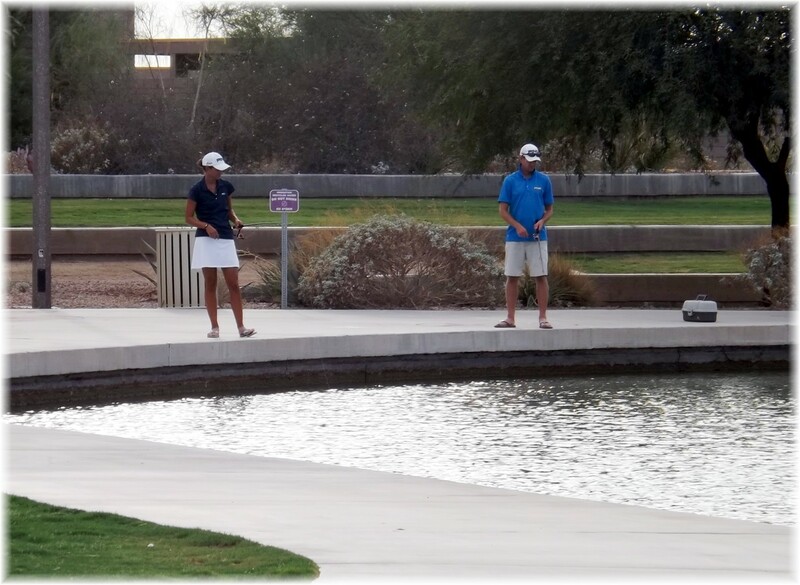 Some of the many reasons you may choose to participate in the Arizona Urban Fishing Program include the fact that the lakes are stocked intensively with catfish, trout and sunfish. The lakes and parks are well maintained and the fish are safe to eat. More than $640,000 is spent annually to purchase the fish from growers and transport them to the designated lakes. Catfish and sunfish are delivered to Urban Fishing Program waters from Arkansas-based fish suppliers. Trout are delivered by fish contractors in Colorado. Click on the map to the left to see the cities where program lakes are located. 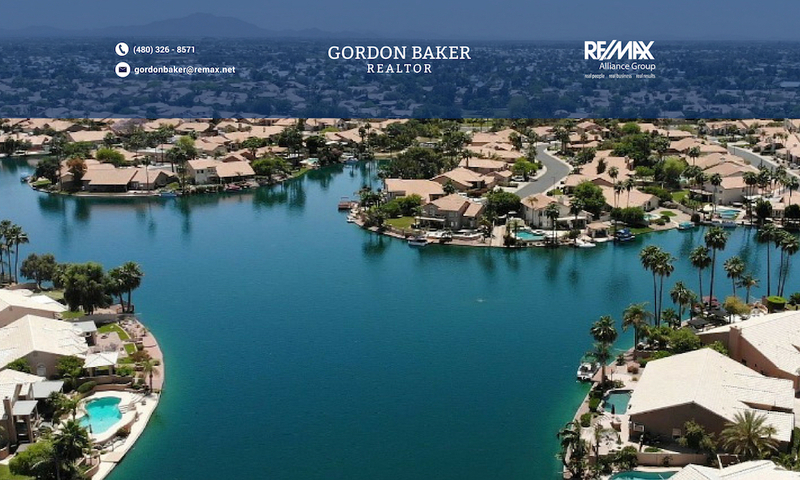 Many of these lakes that are frequently stocked with catchable fish can be found in 8 Phoenix area cities such as Surprise, Scottsdale, Gilbert, Mesa, Chandler, Tempe, and Peoria. Is a license required? Yes, anglers 14 and over require a special urban fishing license. A completed program overview and rules can be found by clicking on 2013 Urban Fishing Program Guidebook. For urban lakes, the daily bag and possession limit is 4 trout, 4 catfish, 2 largemouth bass of 13 inches or more, 10 sunfish, and one white amur of 30 inches or more. Each lake will have a sign that reminds anglers of the limits for each species. In case you are wondering the Urban Fishing Program is a self-supporting, user-pay, user-benefit program. It is a cooperative partnership between the department and 11 statewide cities. It is financed by the sale of Urban Fishing Licenses, sport Fish Restoration Program federal funds, and annual fees from the city parks and recreation departments. No state tax dollars are used. 72% of the budget is allocated to purchasing and stocking, 20% for support personnel and 8% to outreach and other expenses. This unique program offers a convenient way to enjoy fishing close to home, a much more efficient option when you can’t find the time to head north to more traditional fishing locations. If you’d like to know of homes near these Urban Fishing Lakes and Ponds, please click on e-mail homes near Urban Fishing locations and describe which area. How do they maintain Phoenix residential lakes? Previous PostPrevious What’s going on in your Phoenix waterfront lake?